I love open storage. Everything is in its place but easily within reach. The key to making this work is a unifying theme that creates the look of a collection rather than a hodge podge of random items. The theme can be based on the type of item, a cohesive color palette, similar storage containers or a combination of the above. Achieving this look will require a little more discipline in terms of sticking to the established theme, but the final product can be absolutely beautiful. 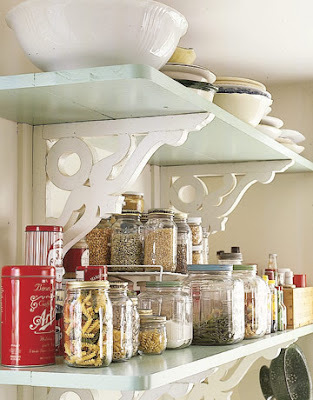 Glass jars unify the display of dry goods. 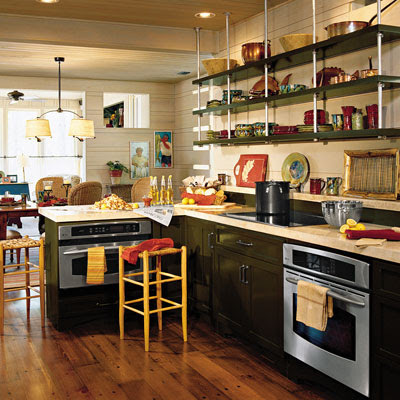 All kitchen items on display share the same warm, rustic colors. 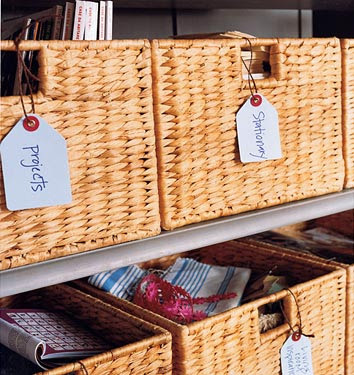 Wicker baskets neatly group and hide small items. 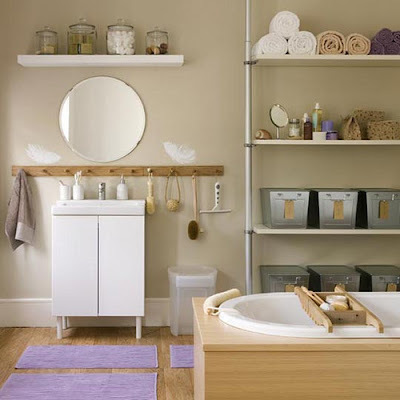 Simple lines, a neutral color palette, natural textures and metal accents create a serene and relaxing bathroom.